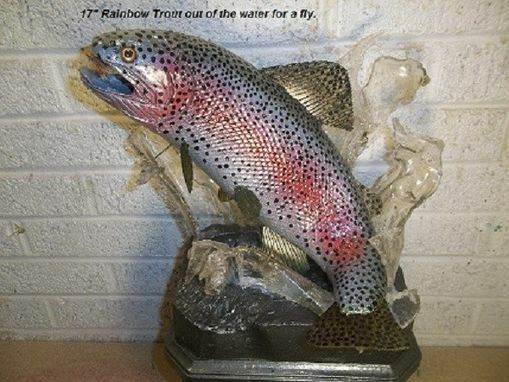 17" Rainbow Trout Breeching Completelyout Of Water. 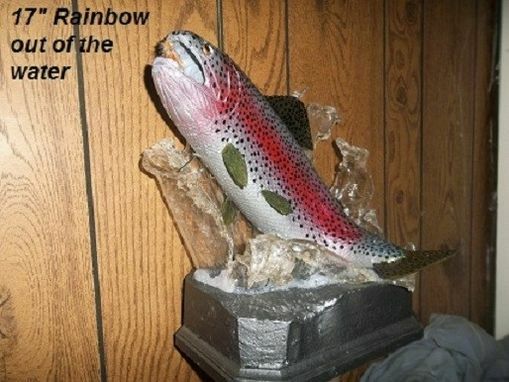 17" Rainbow Trout breeching completely out of water. 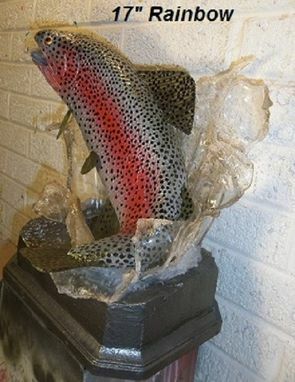 Handcrafted and detailed by Colorado Wildlife Artist Dan Barden. Carved from high density urethane, similar to what Taxidermists use. This is not Taxidermy, but high quality Wildlife Art and priced accordingly.